This prestigious award honours outstanding research on biologically active molecules and systems in the fields of chemistry, biochemistry, and physiology as well as their clinical importance. Since 1964, laureates have been selected annually by the scientific Board of Trustees. Four went on to receive the Nobel Prize. Please note that self-applications will not be considered. 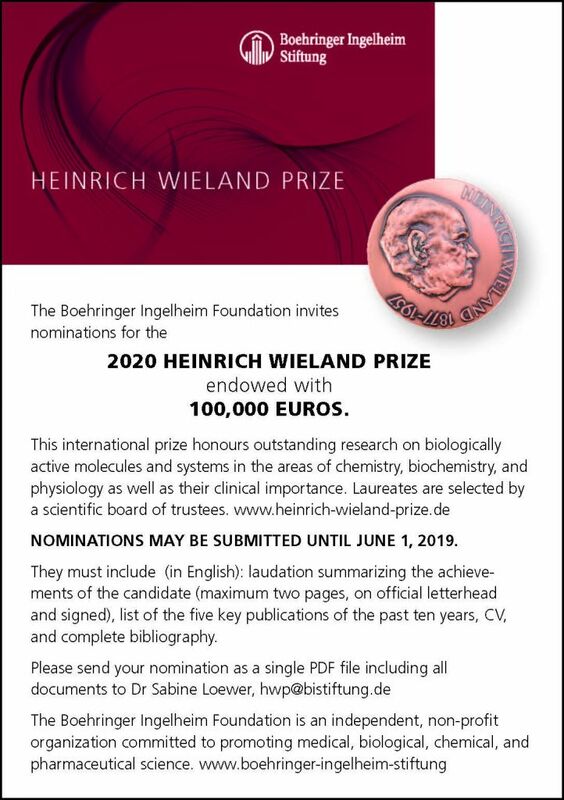 The Boehringer Ingelheim Foundation is an independent, non-profit organisation committed to the promotion of the medical, biological, chemical, and pharmaceutical sciences.